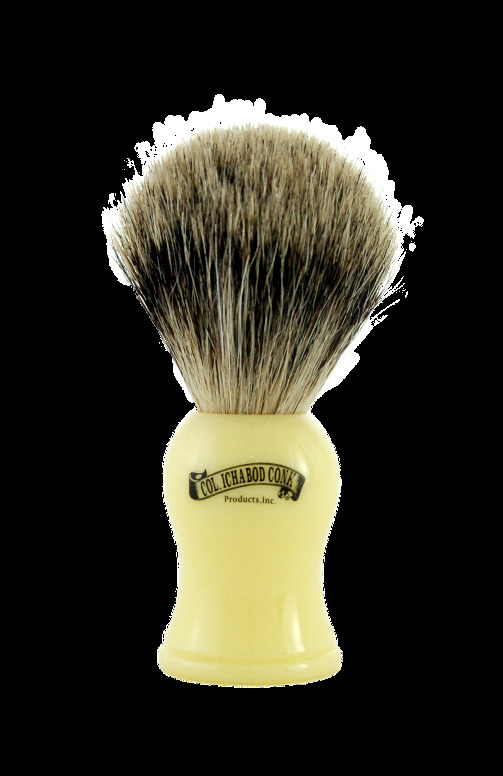 Classic hourglass shaped handle reminds you of your grandfather's shaving brush. Soft, pure badger hair bristles with a molded faux ivory resin handle..
Bristle material: Pure badger hair. Brush is 4 1/4" high.